Zender’s Restaurant & Bar, is a newly opened restaurant in Publika, only two months old. Tucked away in the end of block D5 with less foot traffic, you probably won’t notice this restaurant if you did not take a stroll along all the blocks in this maze like building. But if you do, you will actually be amazed at the location of this restaurant, occupying the best KL view in Publika with gorgeous decorations and comfy ambience that certainly worth a little walk. A view of luxury, makes you feel like stepping into another world totally different from the outside..
Feel so much like home for prince and the princess. Jaw drops when we go into the toilet. So warmth, so garden-like. For one moment, we wished to have such decorations for our home too. With the classic bar, you can enjoy a range of French cuisine with wide choices of wines, cocktails, beers and drinks. 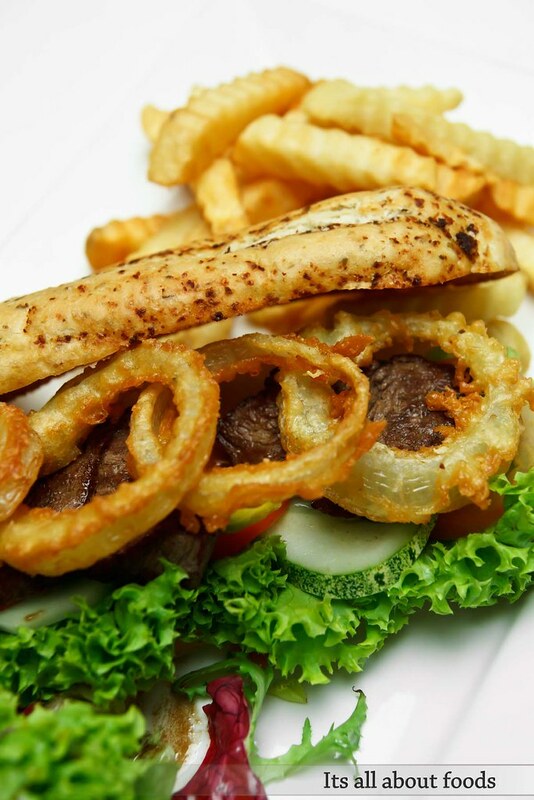 Let’s take a look at the fine French cuisine Zender’s gets to pair with their fine wine, cocktails and great ambience. A colourful boutique salad that put together simple ingredients to bring vibrancy in colours and contrasting texture- juicy cherry tomatoes, crunchy cucumbers, crisp lettuce, and crumbly feta cheese, tossed in tangy aged balsamic dressing. The soup, blended with 5 types of mushroom, was at a pleasant freshness, not overwhelmed with creaminess. Came with tiny bits of mushrooms and toasted lmond flakes within for extra chew. The girl like the pumpkin soup over the mushroom soup for its smoothness and creaminess, with a rough sensation tangles in the palate after taste. A great comfort starter. Perked up the taste bud with Salmon Tartare- combination of diced raw salmon, avocado, chopped chives with minimal seasoning. Savour slowly to enjoy the delicately fresh, creamy, and zesty concoction that built up in the mouth. 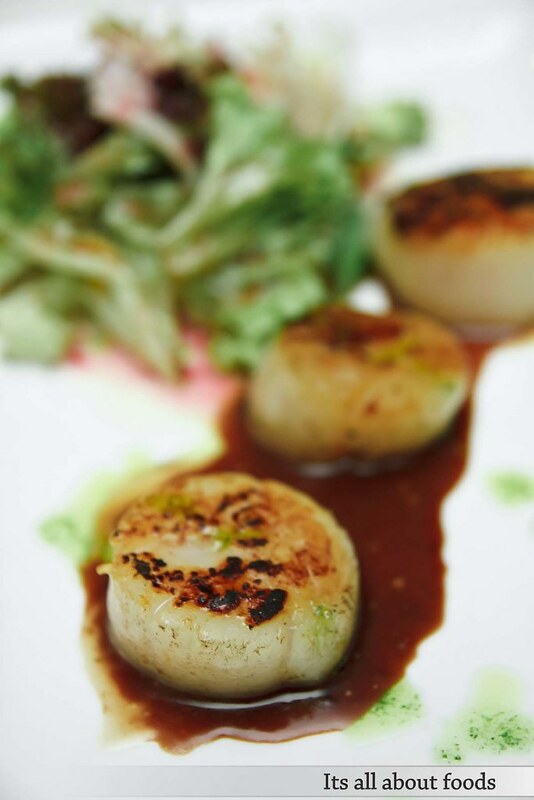 Delicate pan seared US scallops showered with spoonful of port wine sauce. Appealing smoky flavour outside, sweet and juicy within. Served with a side of boutique salad. 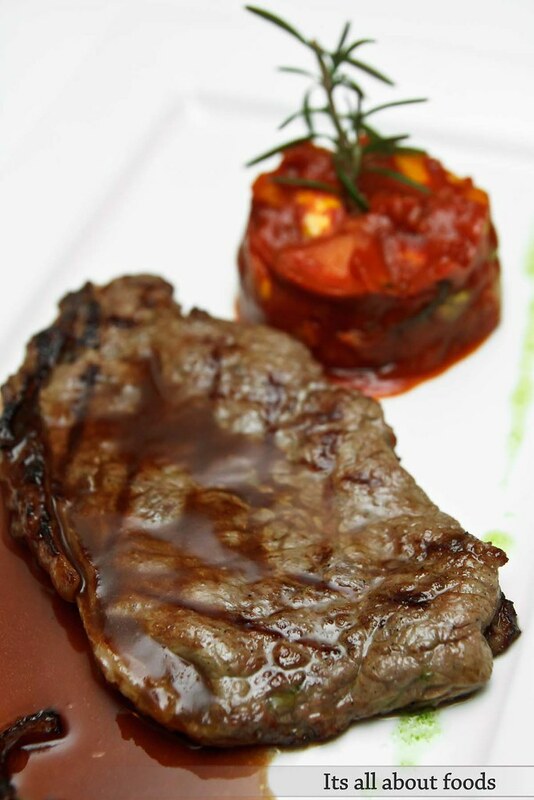 200g Chilled Sirloin serves with Bordeaux wine sauce, ratatouille vegetables and sautéed potatoes with beef bacon. Unfettered satisfaction. 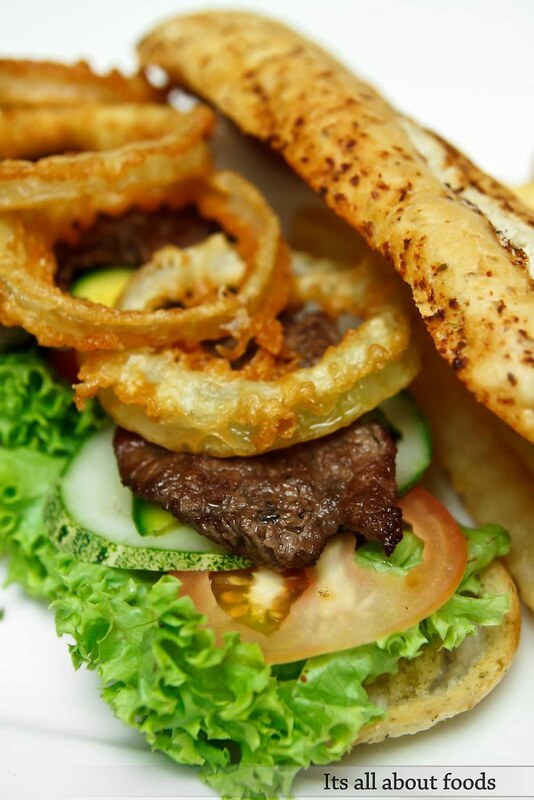 A hearty portion of sandwich layering with grilled beef tenderloin, cucumber, lettuce, tomato focaccia bread and deep fried onion ring within two focaccia bread. Other than the smoky meat filling, the bread is the highlights. Fresh aside, it is very crisp at outside, fluffy inside and strongly infused with herbs flavour. 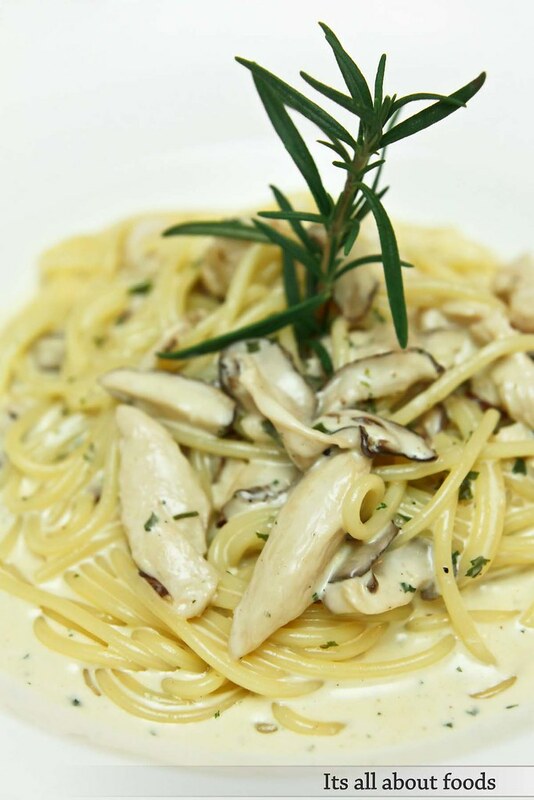 Al dente spaghetti drenched in a bed of rich, thick and creamy cream sauce, together with sliced chicken and shitake mushroom. Not bad, but not fantastic though. 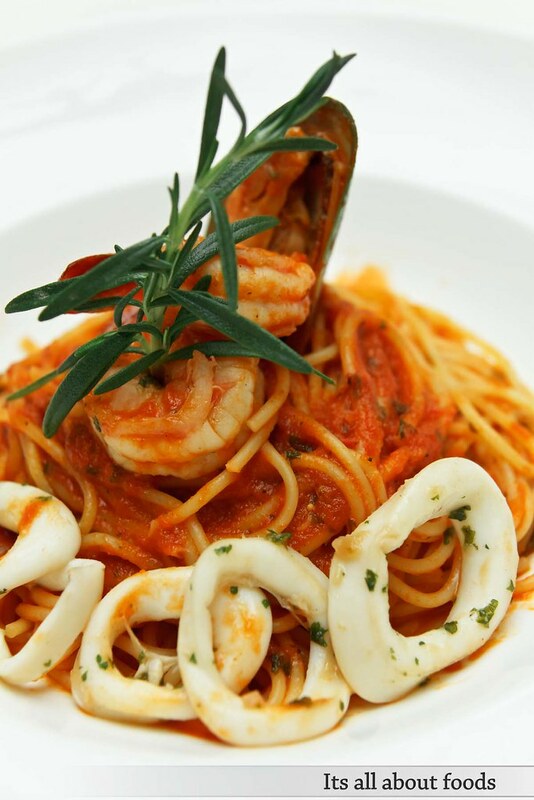 Spaghetti tossed in olive oil and garlic with pan-fried pacific mixed seafood, sauteed with light tomato and sweet basil sauce. Very appetizing. 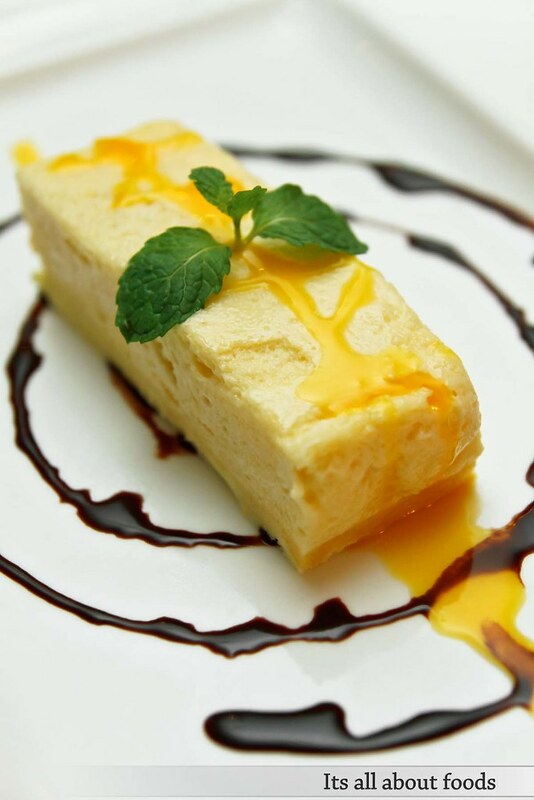 A creative spin from the normal tiramisu, swirled with sweetness and fragrance flavour of mango. 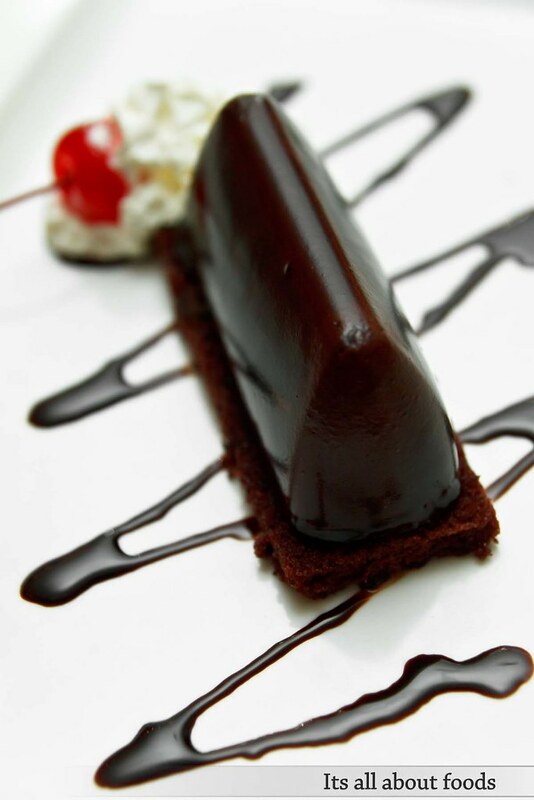 Great to savour once in a while, but we still prefer the classic melt in the mouth over this one. The girl’s all time favourite. 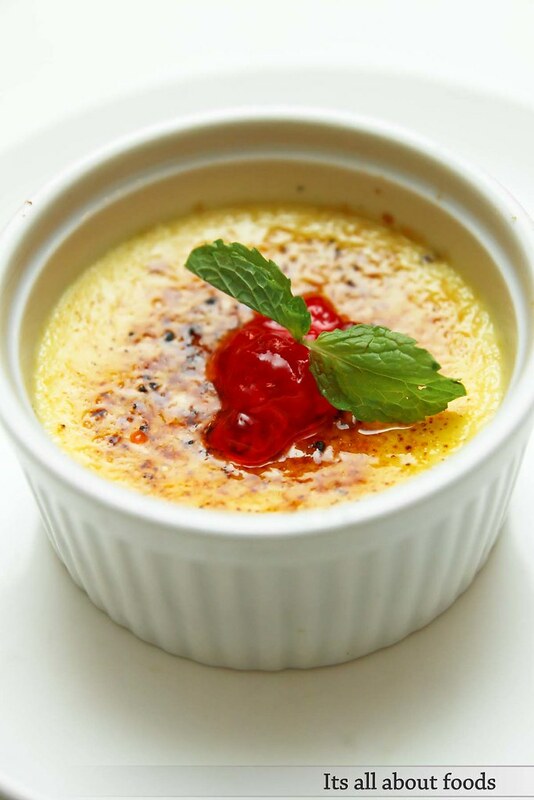 Delicately smooth and soft vanilla custard, with crisp,burnt caramilized sugar on top at its best. The chocolate cake is rather pale comparing to the former, but still earns marks for its thick chocolaty, fluffly and soft texture. Although the restaurant posses elegant and luxury ambience, it is surprised to find that all their food reasonably priced, but finely prepared. Definitely a great place for fine, wine and dine.